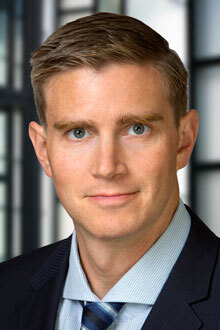 Jonathan Kepko is a partner in the Tampa office of Lewis Brisbois and a member of the Construction Practice. Mr. Kepko practices in the fields of construction and design law and intellectual property law. Mr. Kepko’s construction practice focuses on the representation of subcontractors and general contractors in complex construction litigation cases. He also has experience representing architects and engineers in professional liability matters. As a member of the Patent Bar, his intellectual property practice encompasses all aspects of intellectual property law, including patent prosecution, patent litigation, licensing, e-commerce and related fields. Mr. Kepko has a bachelor’s of science in mechanical engineering and prior to entering the practice of law, Mr. Kepko was an engineering project manager and maintenance engineering supervisor responsible for over $100,000,000 in construction and maintenance projects as an officer in the United States Air Force.